South Delta is a Great Place to Live, Work and Play. Located south of Vancouver, BC off highways 99 and 17, South Delta boasts Canada’s finest climate with mild winter temperatures and about half of Vancouver’s rain. 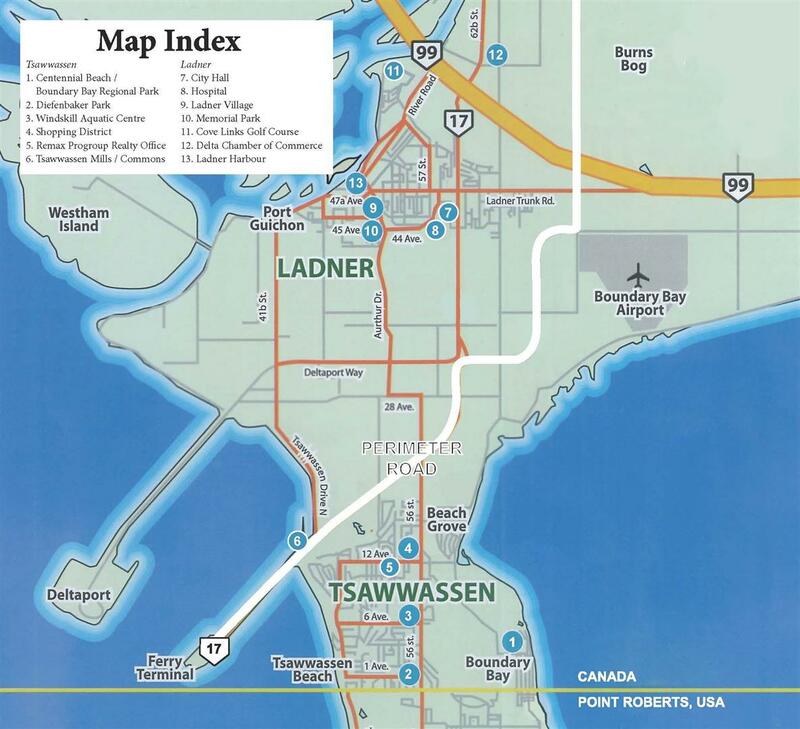 It has about 50,000 residents divided between the two communities of Ladner and Tsawwassen. Its southern border is the 49th parallel - the boundary with the USA. Part of the Municipality of Delta, South Delta has water on both sides. On the western shore is the B.C. Ferries Terminal which provides transport to Victoria and Nanaimo on Vancouver Island and to the Gulf Islands. Next door to that is the Roberts Bank Superport complex comprising the West Coast’s largest coal terminal and a growing Container port. The eastern shore has the warm waters of Boundary Bay with its beaches, water sports and bird watching. Surrounding the two communities are agricultural areas and the town of Ladner even predates Vancouver in its founding. The area abounds with natural beauty with mountain backdrops. The famous Reifel Bird Sanctuary is nearby. Other recreational activities include golf parks, sailing, boating, water slides and even go-cart and Formula 440 tracks. There are numerous sources of information about Delta available on the Internet. These range from those provided by the Municipality and Corporation of Delta to those from the various business groups, service clubs, volunteer and sports organizations. Below are just some of the links that you might find useful in discovering more about South Delta.